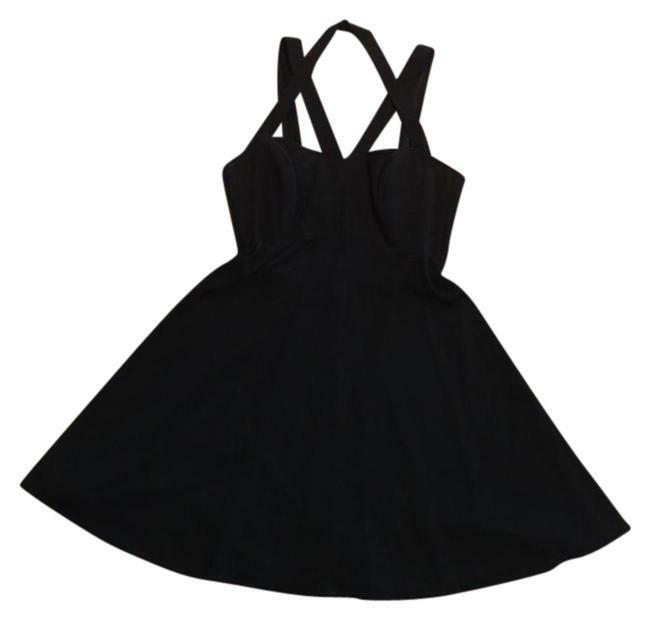 Classic Black Rayon Cross-Strap bustier top dress. 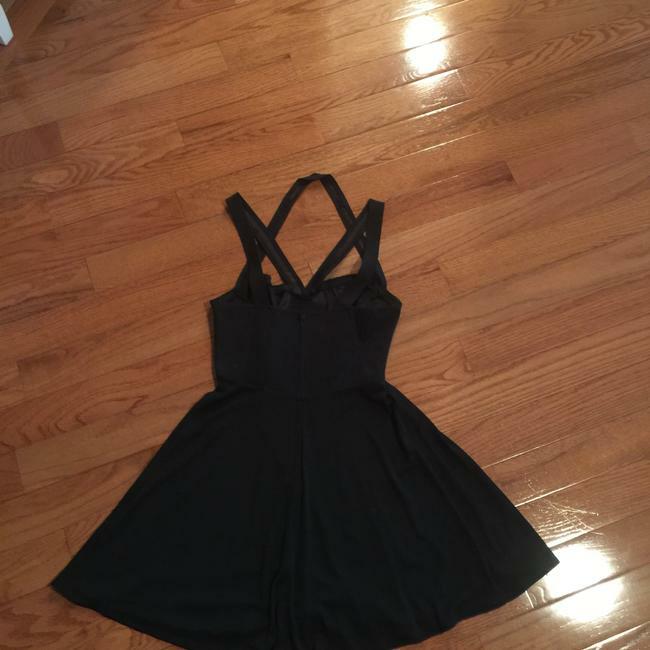 Fitted bustier top (has rubber inside it) and flowing skirt bottom. Fully lined, never worn.